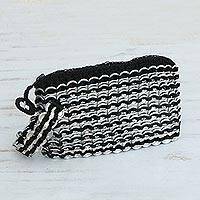 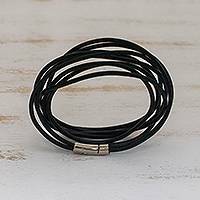 Men's Black Leather Wristband Bracelet from Brazil, "Masculine Solidarity"
Men's Black Leather Wrap Bracelet, "Trio in Black"
Sleek black leather wraps three times around the wrist in a warm embrace. 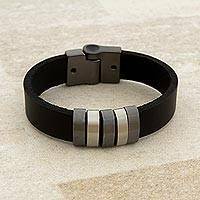 Crafted by hand, this bold men's bracelet by Marilia Guimaraes closes with a magnetic clasp. 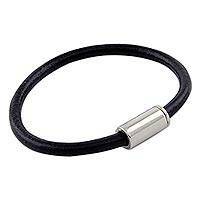 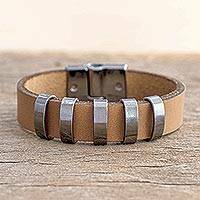 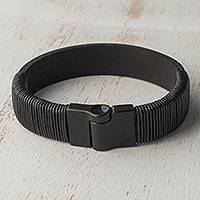 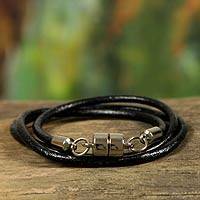 Men's Jewelry Black Leather Bracelet with Magnetic Clasp, "Trendsetter Spirit Black"